Look, being a homeowner is expensive, we get it; every time you call an electrician or plumber, you can expect to spend a few thousand dollars. And who wouldn’t want $40,000 just to spend on landscaping? But what you really shouldn’t do is swipe those funds from your place of employment, which is where a former general manager of a New Orleans Outback Steakhouse apparently went wrong. 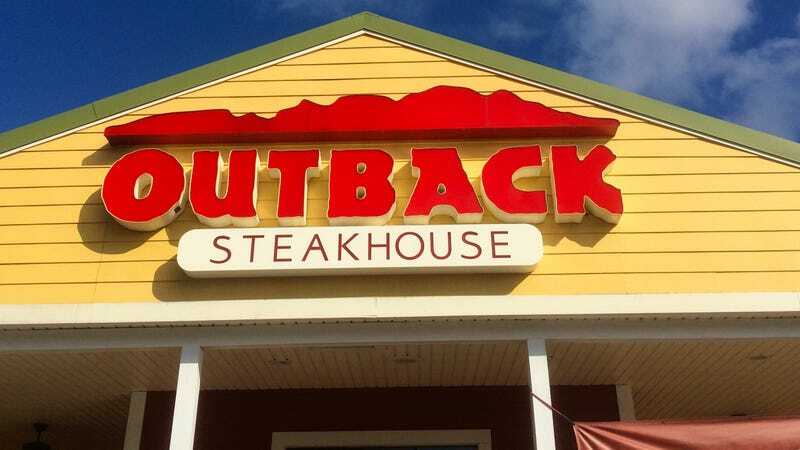 The Times-Picayune reports that the Outback Steakhouse manager had already been fired (for unrelated reasons) when the new manager was going through the books and found some discrepancies over the past few years: namely, $41,204 worth of invoices for landscaping services, and $30,200 to a plumbing company, for work that was not performed at the Outback location. As a manager, the man had discretion to use $1,000 a day without additional approval, which he apparently used toward his own home improvement projects. The Jefferson County Sheriff’s Office says that the man was arrested and booked with “theft valued over $25,000, computer fraud and bank fraud.” The case is still under investigation. We don’t know anything about laundering money and embezzling (we would have to look it up in the dictionary like those guys in Office Space), but paying out a home vendor from your employer’s account seems like a pretty sure way to get caught. But this guy is not the first and won’t be the last; even our beloved Costco is not immune from untrustworthy employees.